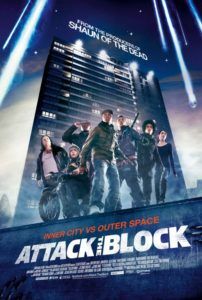 Even after waiting several days for my geeky excitement to calm, I’m still euphoric over Attack the Block, a new British genre film, which earns comparisons to Shaun of the Dead or Hot Fuzz by mixing riotous laughs with genre-specific thrills. Unlike these two popular films by Edgar Wright (executive producer here), the debut feature from writer-director Joe Cornish doesn’t directly spoof its genre predecessors, but instead it delivers a tale at once familiar and unique. The story begins like Boyz in the Hood and takes a sudden hard right into Critters territory. 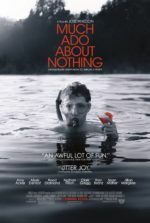 Spliced with biting comedy and coming-of-age dramatic hints, this stylish blend of genres hits many varied notes and leaves the audience delighted. Make a note of Cornish’s name; it deserves a place in your memory banks. In the coming years, you’re bound to hear a lot about him. Known in the U.K. primarily for The Adam and Joe Show, Cornish has come out of almost nowhere with several exciting projects on the way. Along with Wright and Steven Moffat, Cornish wrote the screenplay for Steven Spielberg’s upcoming The Adventures of Tintin: The Secret of the Unicorn, due later this year, as well as Wright’s yet-to-be-greenlit Ant-Man script. But after Attack the Block inevitably reaches U.S. audiences and spreads the kind of infectious excitement it has with this critic, studios will be racing to produce another genre favorite from this talented young writer-director. In the dodgy part of South London, realistically portrayed, a young nursing student, Sam (Jodie Whittaker, from Venus), finds herself mugged by a gang of teenage hooligans with masks—Pest (Alex Esmail), Dennis (Franz Drameh), Jerome (Leeon Jones), and Biggz (Simon Howard) are led by Moses (John Boyega), the lead protagonist. Sam is saved when a meteorite-like thing falls from the sky, crash-landing into a nearby parked car, and requires the group’s interest. As she runs for it, the gang inspects the situation. What they find is an alien beast, which they beat to death with bats and knives, and then haul for safe keeping to the locked cannabis room of their spacey pot dealer, Ron (Nick Frost), until they can figure out how to turn their find into profit. Moses takes a scratch to the face from the ordeal, which he wears with pride. Meanwhile, more meteorite-things are dropping all over their neighborhood. Mind you, it’s not a full-on invasion with flying saucers in the sky and government helicopters mobilizing. Rather, this localized invasion concerns only the gang’s limited block, specifically their low-class apartment complex. So they gather what limited weapons they have—fireworks, baseball bats, a decorative samurai sword—and head out to kill the additional beasties, only to discover that the second wave is different. They’re larger, gorilla-wolf-like things with hair so black they appear almost in negative space. These shadow creatures have only one visible feature, their blue Light-Brite teeth that glow when their massive jaws open for an eerie screech. Too much for a bunch of tough kids, the gang takes refuge in their apartment complex and plots how to eliminate the alien threat. After all, they would never call the police for help; they’ve been raised to despise authorities and take care of their own. Much of the humor comes from the changes that occur in these characters throughout the predicament, particularly Moses, the most fully developed character of the bunch. Tough Londoner kids defending their territory see the bigger picture when they learn Sam lives in their same complex; her spurning takes their egos down a notch. Boyega and Whittaker share the most affecting scenes as a result. A richboy pothead (Luke Treadaway ) joins their clan when his ride is hilariously damaged; two grammar school youngsters who want to join the gang but are too young have quite a few laughs taking down an alien with a Super Soaker and firecrackers; and the gang’s posse of disbelieving girlfriends also provides comic skepticism. Yet, it’s not all a sci-fi joyride—Cornish isn’t afraid to offer up a few young victims to emphasize the danger of the situation. Throughout, the techno soundtrack by Basement Jaxx keeps the momentum cool and flowing, while occasion deviations, such as KRS-1′s “Sound of da police”, are used for comic punctuation. What’s amazing about the film is how Cornish, a first-time filmmaker no less, accomplishes pitch-perfect tone for each of the many elements to the story, and then brings them together in one remarkable whole. From thrills associated with aliens chasing the gang through winding walkways, to nasty monster effects, to consistent and funny comic relief, to the surprising dramatic relevance and social message the story holds, Cornish has truly achieved something here. Much like Wright’s Shaun of the Dead, this is one of the more self-assured directorial debuts in recent memory. On technical terms, the nighttime lighting and cinematography (by Thomas Townend) are nothing short of professional, using street lamps and black lights with diversity and artistic flair enough to enjoy the film on a purely visual level. And while Cornish was no doubt inspired by countless other movies in his writing and directorial approach, the outcome never feels derivative or overly familiar, just fun as hell. If this all sounds exciting and you can’t wait to see the film, unfortunately, I have bad news. There’s no U.S. release date set by the stateside distributors at Screen Gems, though it opened on May 13 in Britain. However, on May 25 of this year, they held a special advanced test screening for U.S. audiences, and the response was more than favorable. 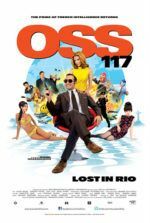 Without much foreknowledge of the film, I attended the screening with my wife and we both walked away exhilarated, entertained and impressed with the composure of so many different genres packed into one tidy package. With any luck, Cornish’s film will reach American theaters by the end of summer. August would make the perfect release month, as audiences just winding down from blockbuster season would surely enjoy this out-of-the-ordinary take on typical summer entertainment. The effect of Attack the Block recalls the post-viewing giddiness felt after every Edgar Wright film you’ve ever seen, in that your first instinct is to gush about what a fun and geeky thrill you’ve just witnessed, but then, because you want your friends to enjoy the first-time experience as much as you have, you tell them “trust me, just see it”. And when they do, they love it just as much as you, and you geek out together about the film. 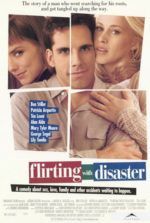 Whenever Screen Gems decides to release Cornish’s film in the U.S., I expect audiences will react the same way to this instant cult classic, which has the potential to reach the mainstream the way Wright’s films have, if marketed properly. The four-star rating of this review certainly represents my lingering enthusiasm, even days after the special screening, and readiness not only to see it again, but to talk about in many buoyant discussions.